Commercial mortgage note valuations are distinguished from residential note valuations in that commercial notes, and by extension their related CMBS bonds and derivatives are based on the performance of the underwritten property, whereas residential notes and their related securities rely heavily on the financial behavior of the borrower. Many commercial mortgages are non-recourse to the borrower and often the borrower of a commercial mortgage is an entity, which can be dissolved and disappear upon insolvency or bankruptcy. It is also not unheard of to find commercial lenders and servicers managing properties obtained through foreclosure for a number of years to collect the cash flow from the property until it is sold. Bank-owned residential properties, however, are generally seen as liabilities to be sold at the highest price, as quickly as possible. Given the non-recourse nature of most commercial financing and the strong consideration of the performance of the property, many commercial note valuation financial models are very similar to commercial asset acquisition models, with a number of lending considerations, such as debt yield, added. The closely related nature of commercial note and commercial property valuations has led me to title this post "Commercial Mortgage Notes and Properties." There are a number of elements that are essential components of both types of models. First, an asset description worksheet detailing the asset and its financing is key. This worksheet should be flexible enough to run a number of quick scenarios or "stress tests" and should have some basic information that it is being fed from other worksheets in the model. The next essential component of a good commercial mortgage and property model is a rent role worksheet. This worksheet can be separate from combined with a lease expiration table. 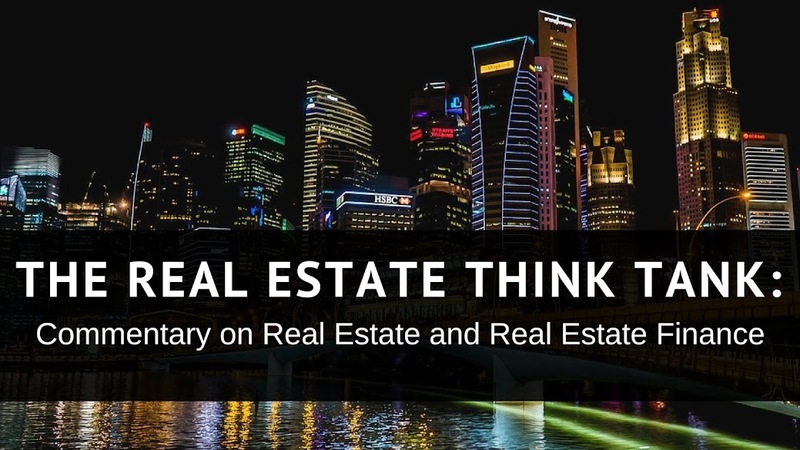 A clear presentation of such information will allow one to quickly evaluate the condition of the property's rent role in order to understand the flexibility of the asset and how it will perform over the life of the acquisition or note. The next component is a valuation table that should compare a number of different methods of valuing the worth of the property. Area cap rate, replacement costs, and appraised value are some of the many ways to find the value of an asset. Another important component is an expense and profit escalation table. This table will allow one to project the possible value of the asset over the life of the deal. These projections will be essential to obtaining the asset's net present value (NPV) and for obtaining a rate for the internal rate of return (IRR). I also like to add a worksheet that attempts to predict how this asset as a note will behave if it were securitized with similar assets, worse assets or better assets. Access to the rating agencies' projected returns for each asset class can be very helpful in building and using such a worksheet. Having discussed the relative de-emphasis of the credit worthiness of the borrower of a commercial mortgage, I must clarify that the borrower credit history is still important to commercial mortgage underwriting and note valuation. Unworthy borrowers lower the value of commercial note, as any foreclosure process, even a "springing-lock box" mortgage, deed of trust or bank foreclosure mortgage (the three least expensive mortgages to foreclose) can be costly in terms of lost cash flow and lost time. Management costs will also accrue after the foreclosure process is complete. No lender wishes to underwrite a deal that will lead to foreclosure, as it would be cheaper for the lender to simply purchase the property, therefore borrower risk must be evaluated and priced through an appropriate interest rate. Borrower credit-worthiness, therefore, should not be absent from your commercial mortgage note model. Having posted this cursory overview of Commercial Mortgage Note and Asset modeling, I welcome your comments on this or any other post on this blog.